Coincidence? Possibly. However, the below poem and its corresponding letter written directly to Gordon Hall aptly exhibits the aim of this collection as a whole. The letter represents a single entity in the collection, and contains no additional information either about its author, or the poem’s real meaning. Is “Mr. 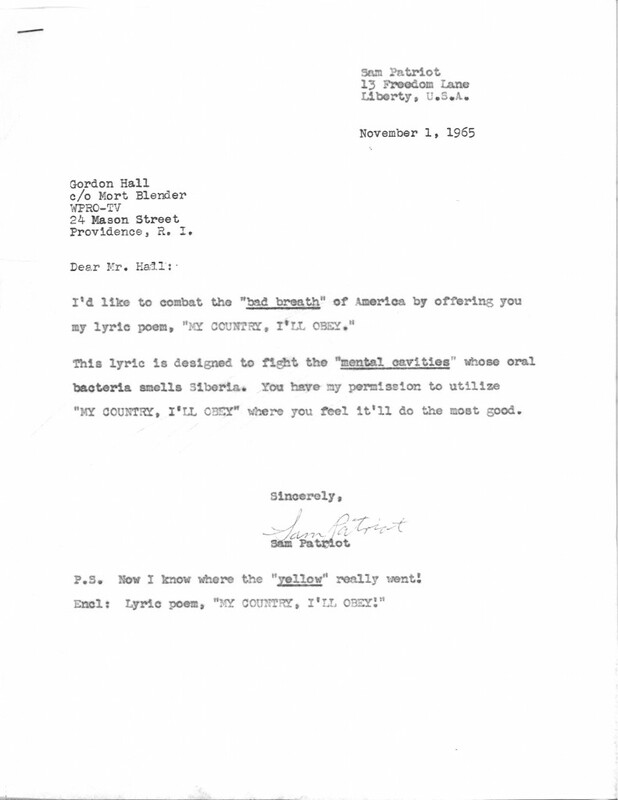 Patriot’s” poem a cheeky retort of blatant disgruntlement of United States involvement in the Vietnam War, or does he truly bleed red, white and blue? 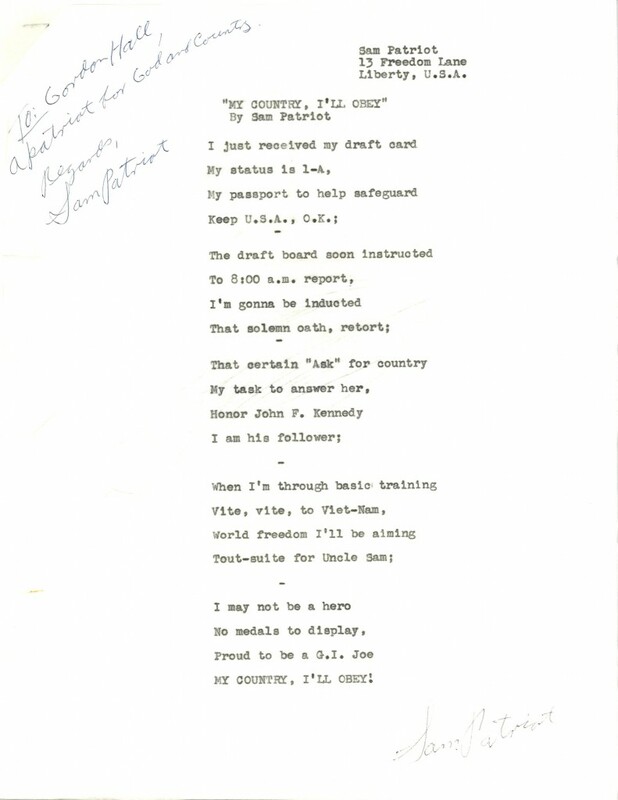 Being that the Hall-Hoag Collection contains materials that represent both ends (and all those in between) of the extremism spectrum, we will most likely never know how Sam Patriot wanted his poem to be understood. 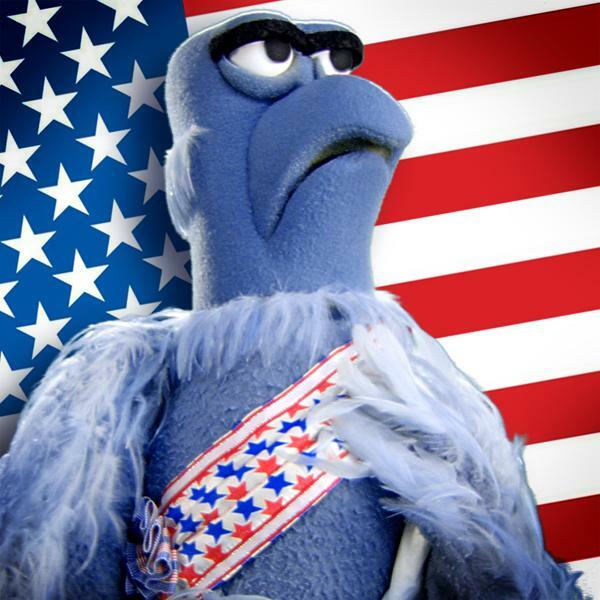 I think I will choose to picture it as a passionate plea of the overtly patriotic eagle of my childhood, but leave personal interpretation up to the individual reader.